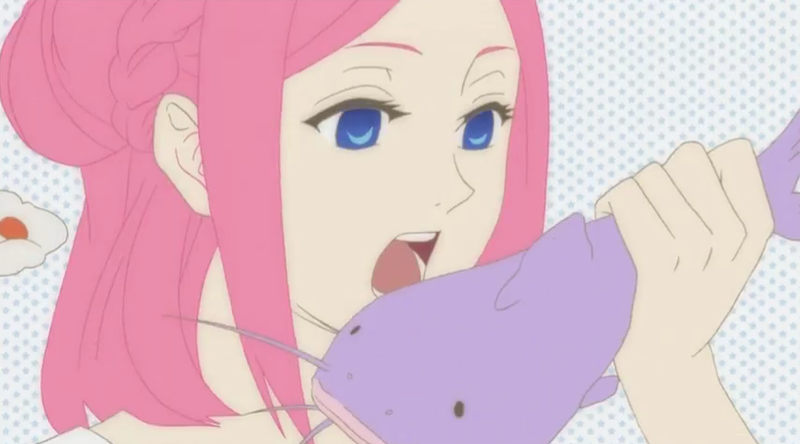 The OP has a lot of fish in it. 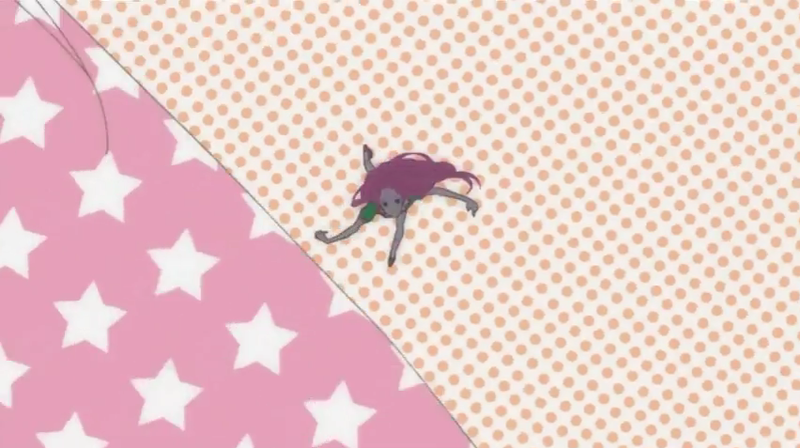 For all the crap that people give SHAFT, I think one thing is undeniable, they put a lot of effort into their OP/ED animations. 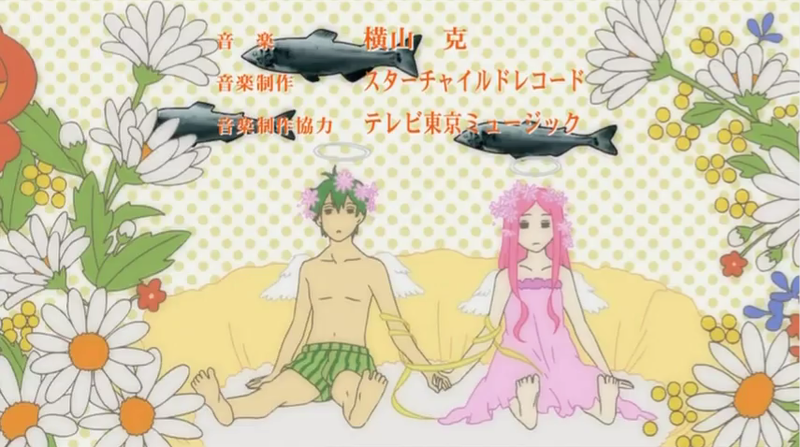 Since episode one didn’t have an OP or an ED, and the subs for episode two aren’t out yet, I thought I would link folks to the newly released Arakawa OP & ED, and provide some brief comments of my own. Musically the opening is a light pop number (vocals by Etsuko Yakushimaru), and the visuals supplied by SHAFT reinforce that with a palette dominated by lots of white, pink and blue, as well as various pastel shades (especially purple). The artistic style itself is akin to some forms of Pop Art, with its use of visible process tones and flat “poster” colors. 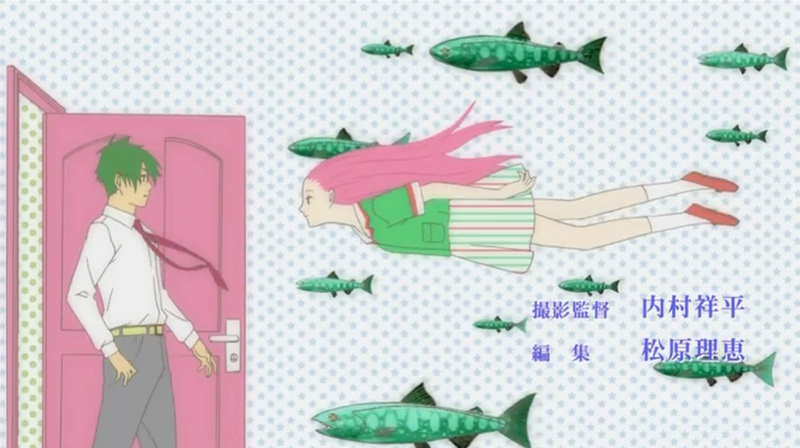 Thematically (besides fish), the OP animation seems to represent Kou’s conflicting fears of losing and being engulfed by the pink-haired girl, who is revealed to be Nino only in the final moments. 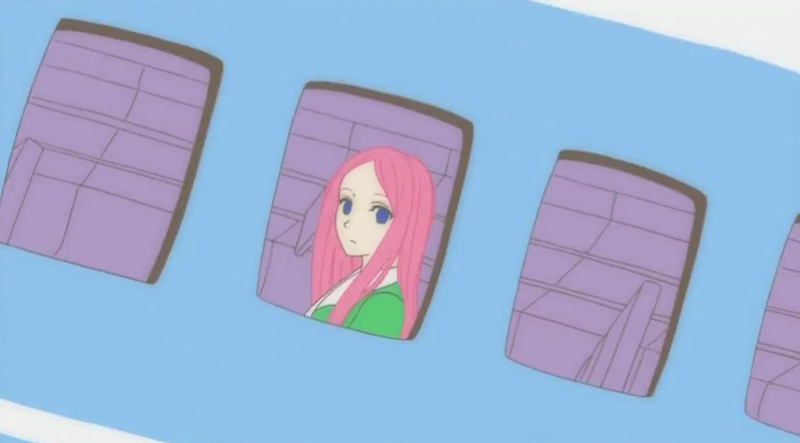 The “losing her” imagery mostly revolves around her getting on a plane and flying away. 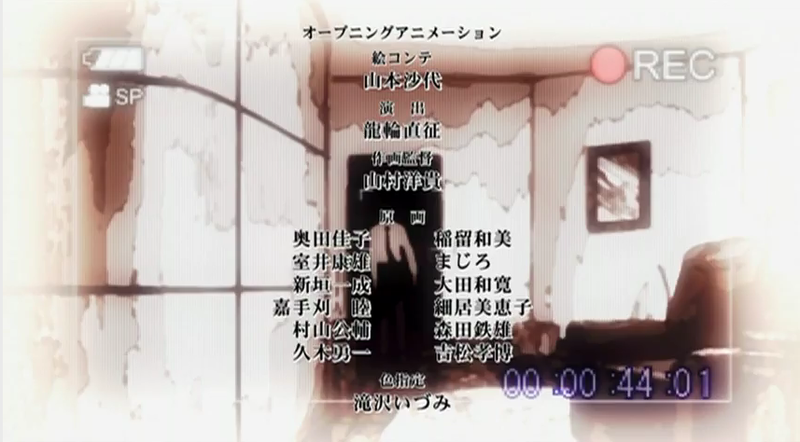 At one point she falls from the plane, and Kou is shown frantically opening a door, as if trying to find her. When he does, however, he seems more frightened than pleased. 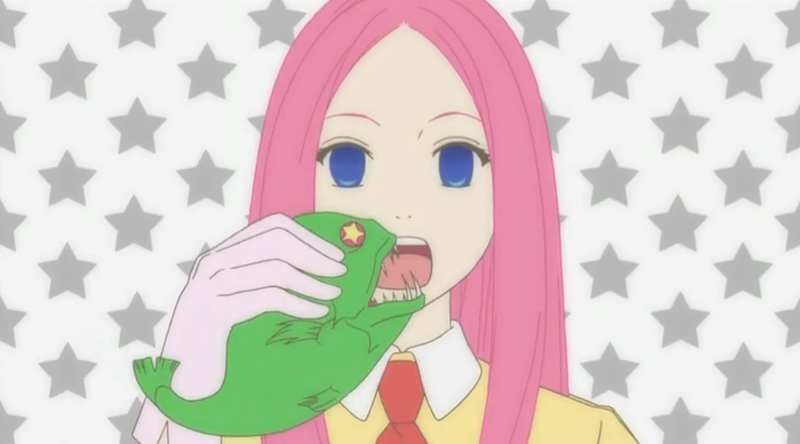 Much of the imagery shows Kou resisting, pulling away, or metaphorically being eaten and swallowed by the pink-haired girl. 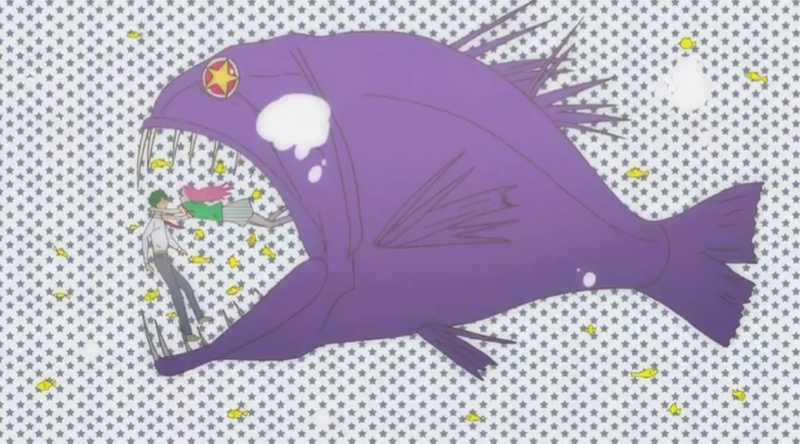 In one extended sequence, a kiss from the pink-haired girl leads to them both being swallowed by a fish, inside of whom they become skeletons, then angels, tied to each other, while dressed in”intimate apparel”. Whereas the OP was decidedly light pop, featuring vocals, a little bit of guitar, minimal drums (mostly snare), bells, and strings, the ED rocks it up a bit. Musically, I would call this light rock. The vocals are still prominent, but we have two guitars, and a much more intricate drum part, including some high-hat riding, and lots of cymbal at the end. The ED breaks down in roughly two halves. The first seems to have an embedded narrative. The second half introduces a number of characters, most of whom we have not seen yet; it also is handled in a more full-colored style, which gives the impression they could almost be taken from actual scenes from the show. The first half, however is handled in kind of a high-key style (notice that lighter parts of the scenes show little or no detail), with sepia-tone, and are vignetted. The effect is almost as if the images were painted with brush and ink, except that every scene incorporates motion (such as a bird, or the refraction of light on the water), and several scenes are superimposed with the in-screen display you would see in a portable video camera of some sort. The scenes are a mixture of outdoor shots that look like they were “taken” near the bridge in the story, and interior shots. 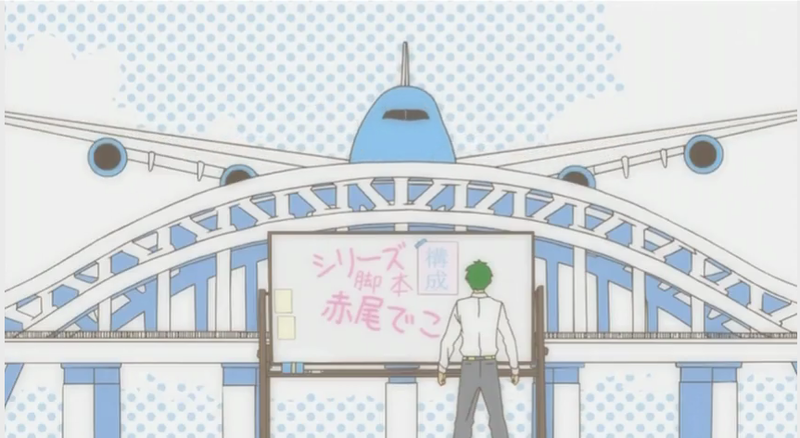 This section ends on an interior shot when a man wearing a tie (presumably Kou) comes into view. 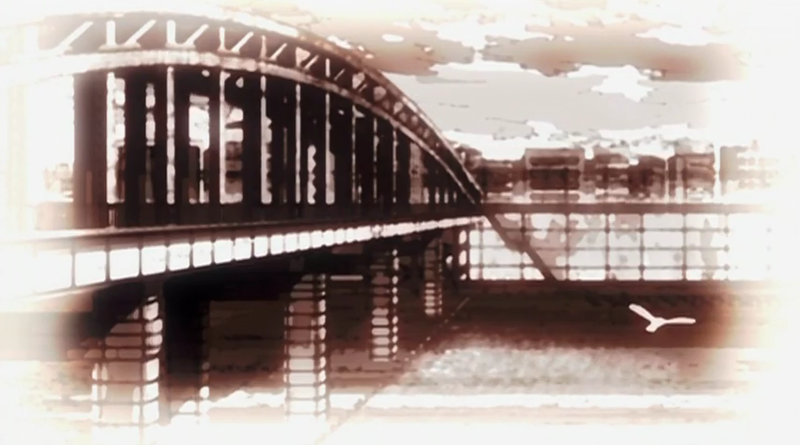 He waves his arms frantically and the transition is made with a single white horizontal line closing to black, as if the camera had been turned off (presumably at Kou’s urgent request). 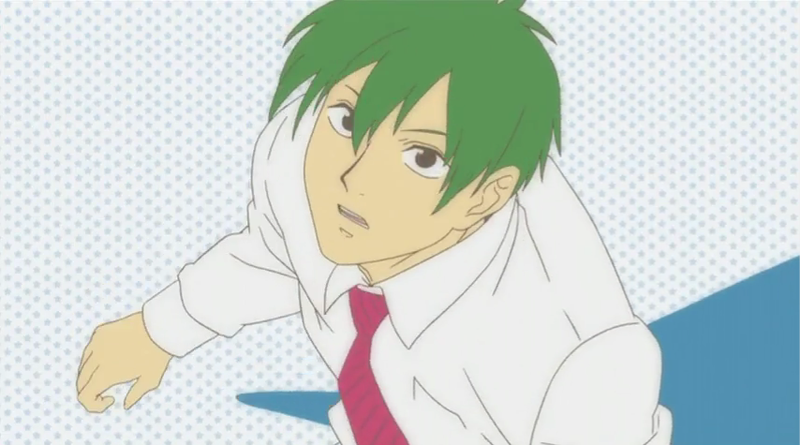 If Kou is a subject for the camera, are we to assume that Nino was the camera operator? I enjoyed both songs, although I found the opening animation more entertaining. Still, I need to hand it to SHAFT; they are really doing this show right, as far as I am concerned. 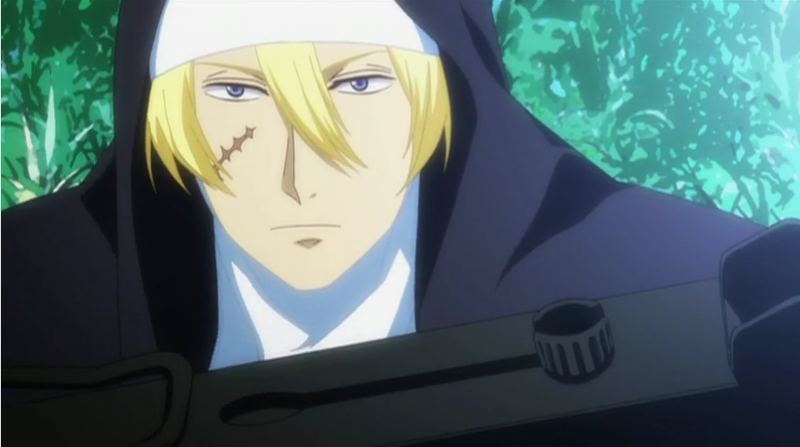 The OP imo is must better in term of animation compared to the ED. Yes, the OP really has the advantage in being a bigger conceptual project. It reads more as a complete work — like a music video, whereas the ED is about half character shots that add up to nothing of import. The first half of the ED is okay, for what it is; it is only about 30 seconds long, after all, and the monochrome might have been intended to not step on whatever emotional take-away the viewer got from the preceding episode. I suspect the individual scenes were selected to convey a sense of “everydayness” (some grasses blowing in the wind, faucet dripping, etc.) that just can’t compare to the intensity of the imagery in the OP. Musically it wasn’t bad, though. Thank you for the analysis. The theme of losing and fearing does indeed add to the enjoyment of this show. 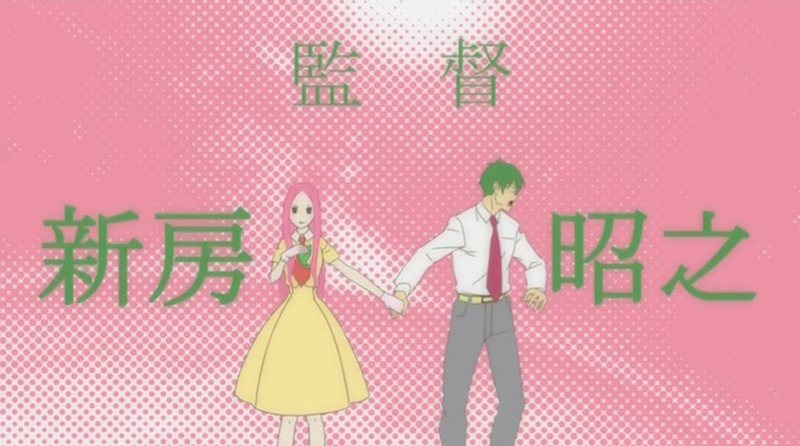 You know, when I first watched them, I liked the song for the ED, more than the song in the OP, as well. I just enjoyed the OP more for the animation. 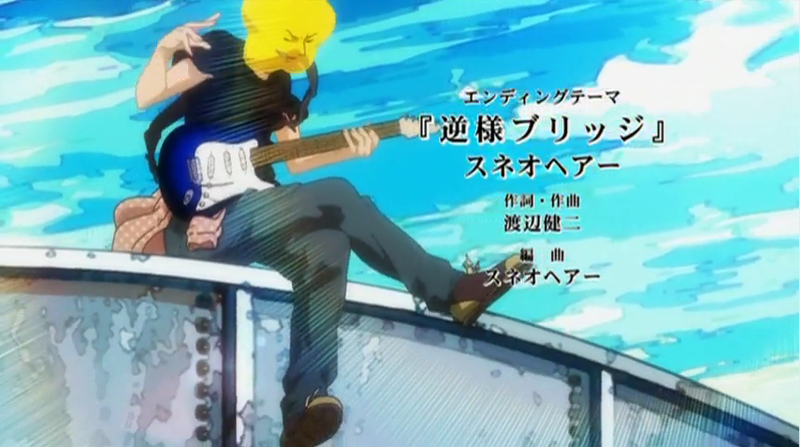 Now, however, the OP song has really grown on me. I’ld be happy to have either or both on my iPod the next time I’m out walking around the river.